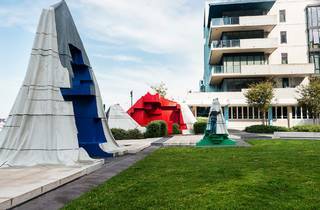 This parklet located on the NewQuay Promenade smashes together landscaping and public art with great success. 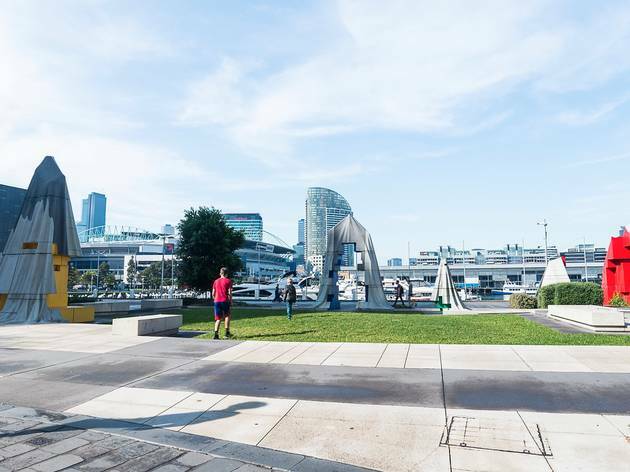 A collaboration between artist and professor Callum Morton, McBridge Charles Ryan Architects, Oculus Landscape Architects, City of Melbourne and Places Victoria, the sculpture park is the Docklands’ biggest public artwork. 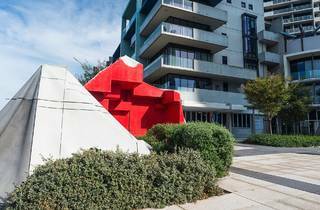 Taking inspiration from Melbourne’s CBD and architectural monuments, the sculptures are solid concrete interpretations of Melbourne buildings. 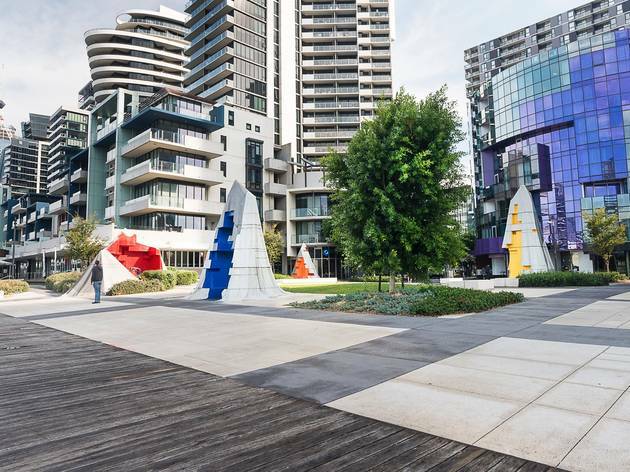 Kids can clamber and climb up the colourful sculptures and they also provide shade. 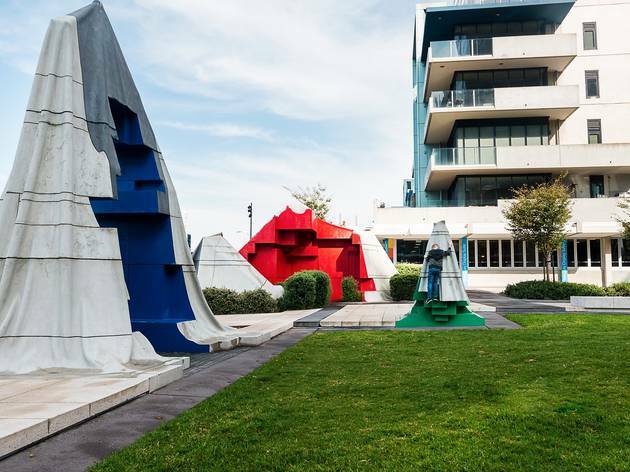 Morton (head of the Fine Art at Monash University Art Design and Architecture) 3D scanned seven iconic Melbourne statues and buildings, which were then rendered with computer generated fabric, and recreated in glass and concrete. 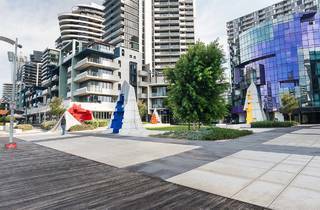 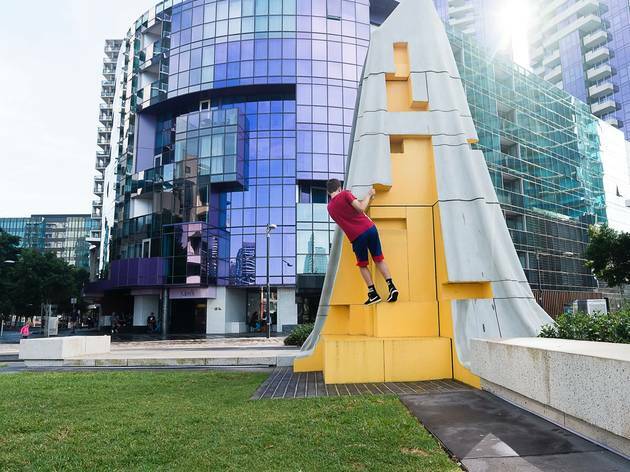 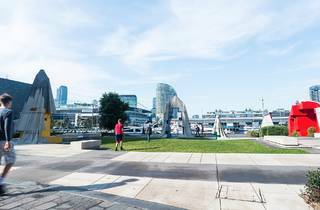 The interactive sculptures tie the Docklands area to the nearby Melbourne CBD in a colourful and playful manner. 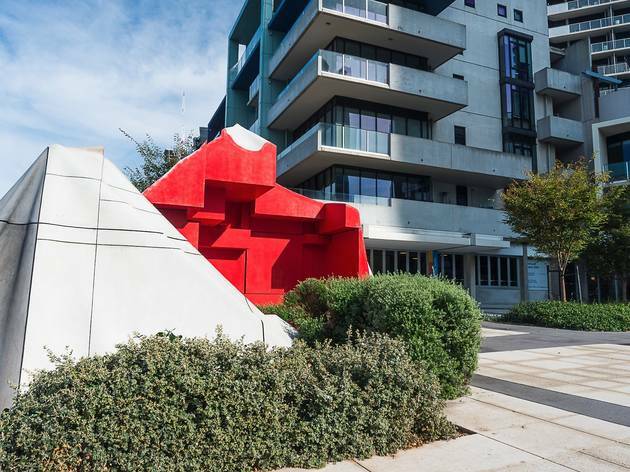 With many cafés located in a stone’s throw from the park, it’s a lovely spot to kick back with a coffee in the sunshine.